Prime Minister Imran Khan met the US special representative on Afghan reconciliation, Zalmay Khalilzad, Wednesday where the latter passed on President Donald Trump’s good wishes. 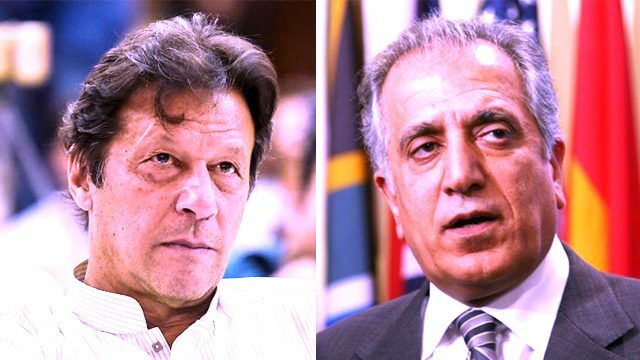 Khalilzad said the US wants to work with Pakistan to facilitate the peace process in Afghanistan. We want a political solution to the Afghanistan issue, he said. PM Khan replied that Pakistan had always considered a political resolution to the issue best. Reconciliation is the only way to move towards peace, he said. We are always working towards peace in the region, said PM Khan. President Trump’s letter regarding peace in Afghanistan is a good sign, he added.